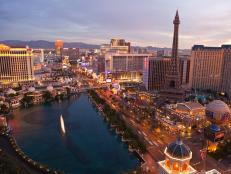 Thrill-seekers, get ready to scream on the most adrenaline-pumping rides you’ll find anywhere. 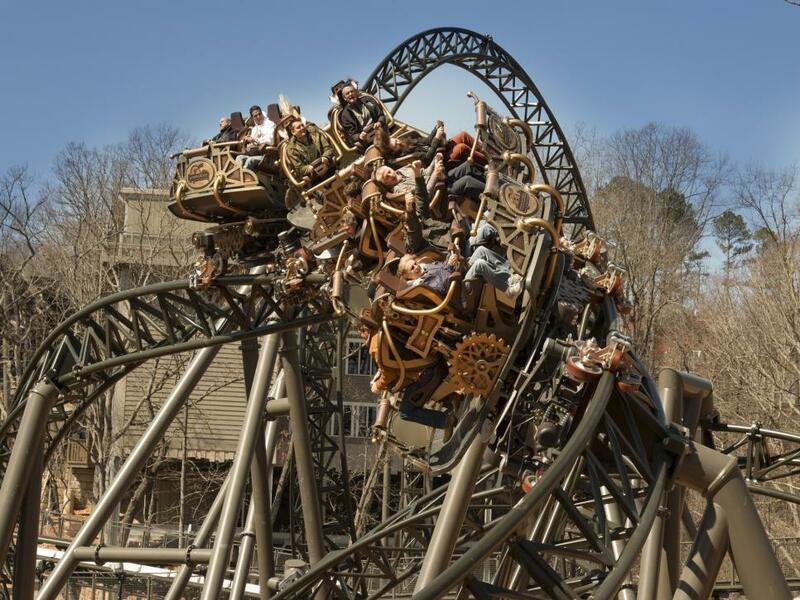 There is no shortage of superlatives when it comes to the Time Traveler at Silver Dollar City in Branson, Missouri. 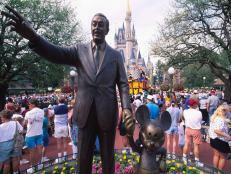 According to the park, this new ride is the world’s tallest, steepest and fastest full-circuit spinning roller coaster. 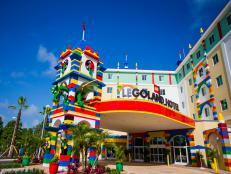 Clearly, a must-ride for any coaster enthusiast. Rather than ascending to begin the ride, Time Traveler wows with a 100-foot drop to up the adrenaline right from the get-go. 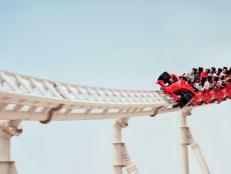 From there, riders experience three inversions, two launches and a vertical loop, all while spinning in the coaster’s cars. 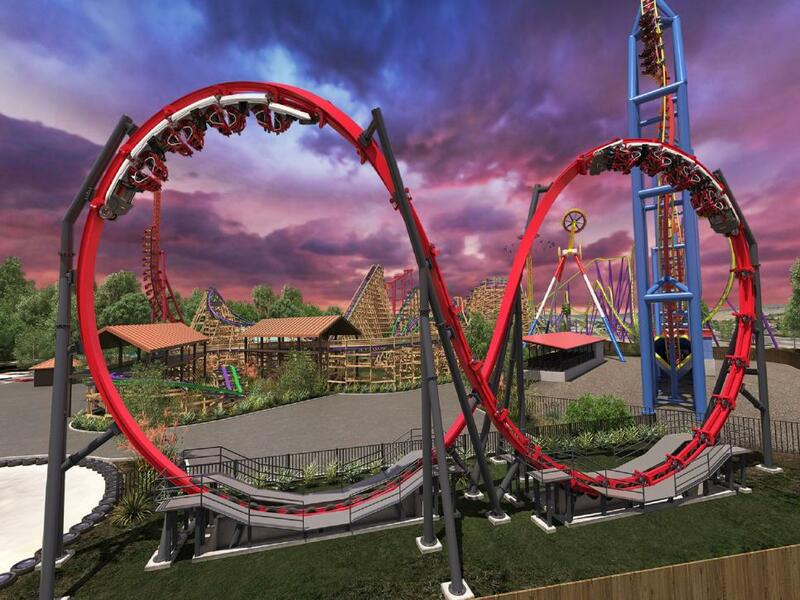 The long-awaited Mardi Gras Hangover at Six Flags Great America near Chicago debuted this spring, claiming the title of world’s largest loop coaster, standing at 100 feet tall. 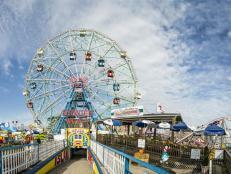 The coaster sends riders forward and backward on massive 360-degree loops, even allowing for adrenaline-inducing hang time as riders find themselves suspended at the top. 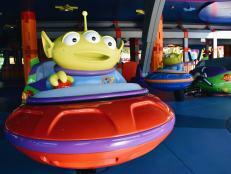 Face-off style seats enable riders to watch their friends’ reactions throughout the heart-pounding ride. 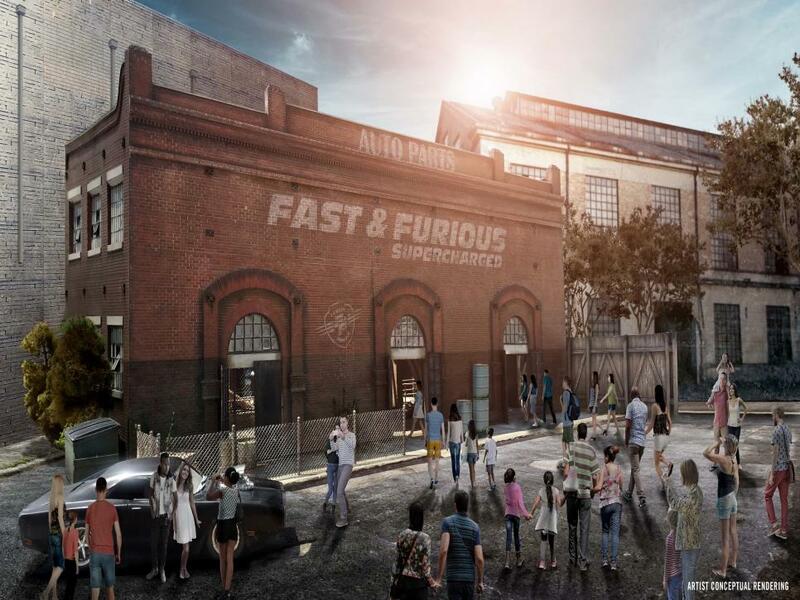 Tapping into the insane popularity of one of the hottest movie franchises, Fast & Furious — Supercharged recently opened at Universal Studios Florida in Orlando, bringing the movie to life in an immersive, fast-paced new way. 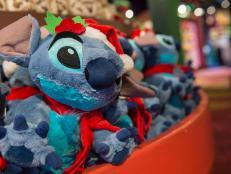 In the ride, guests team up with movie characters, including Dom and Letty. 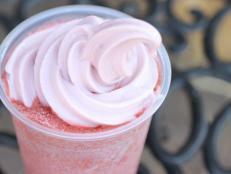 Riders reach "fast and furious" speeds thanks to a supercharged motion simulator and thrilling footage in a tunnel, making guests feel as though they’re a part of the action. 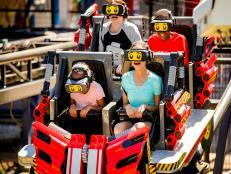 Inspired by the villainous DC Comics character, the Harley Quinn Crazy Coaster at Six Flags Discovery Kingdom in California opens this summer, much to the delight of roller coaster enthusiasts and comic book fans. 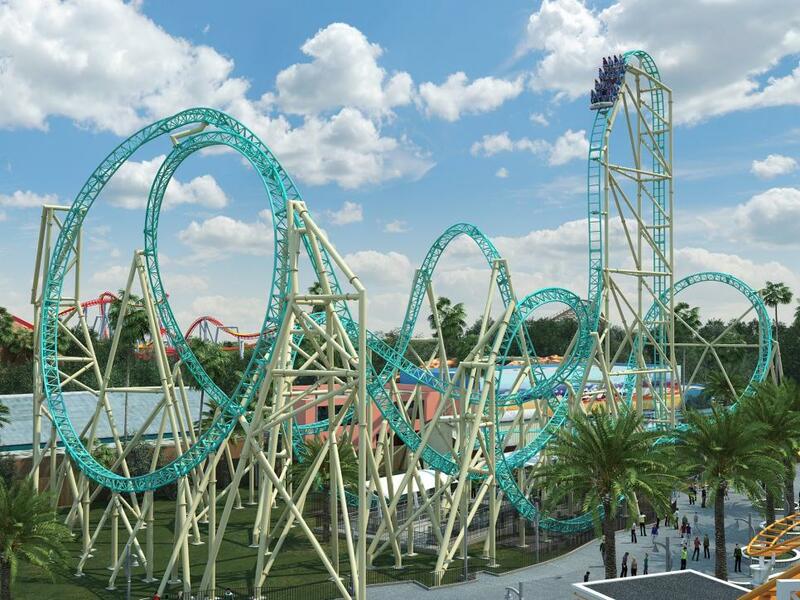 As the world’s first dueling looping coaster, this coaster takes riders in separate trains in a vertical figure-eight circuit multiple times, each time soaring more than 60 feet in the air, then meeting in the middle, as trains hurtle past each other at top speeds. There’s nothing like a good mat racing slide to cool down in the summer. 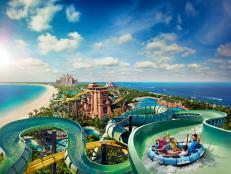 It’s even more incredible when it’s the longest mat racing slide in the world at more than 480 feet in length. The Whitecap Racer made its debut Memorial Day weekend at Hersheypark in Pennsylvania and allows guests to race six at a time in colorful slides from a starting point 70 feet up in the sky. Go 360 degrees in two loop tunnels, then check your time at the end to see who came in first place. 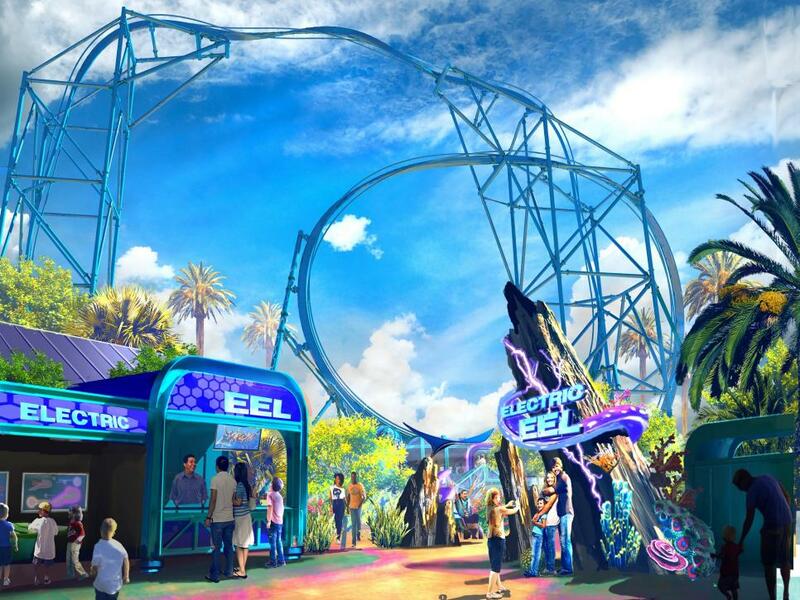 In May, SeaWorld San Diego unveiled the Electric Eel, the tallest and fastest roller coaster in the history of the park. This roller coaster thrills with an initial 150-foot twisting ascent before racing across the track at speeds of more than 60 miles per hour. 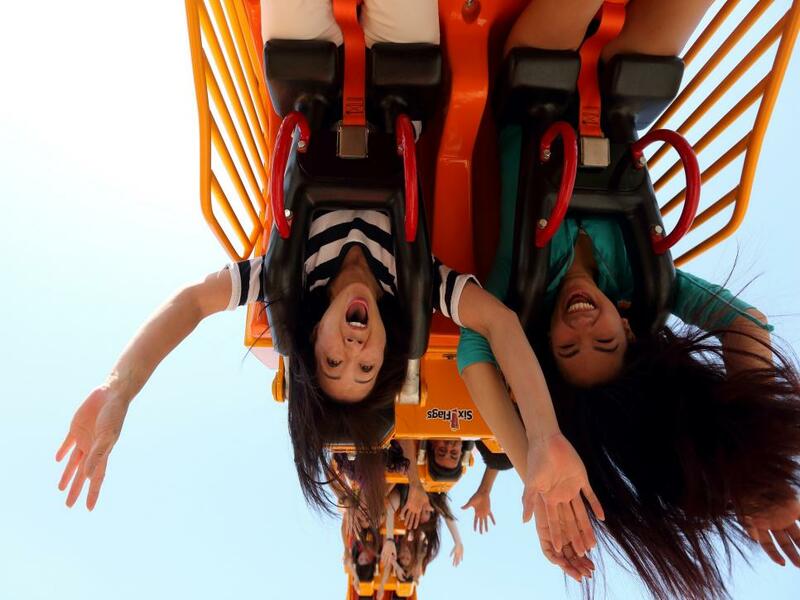 Hold on tight to this high-energy ride with plenty of loops, inversions, and eel-ectricity that will send roller coaster enthusiasts back in line for another heart-pounding turn on the ride. 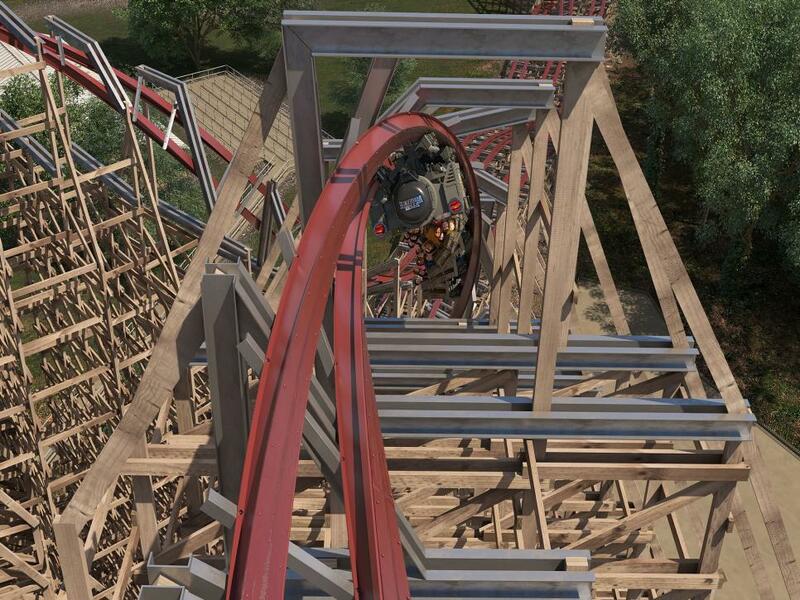 This summer, Cedar Point in Sandusky, Ohio introduced the world’s first "hyper-hybrid" roller coaster, Steel Vengeance. 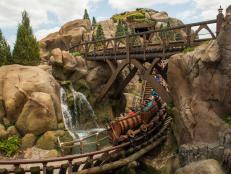 At more than 200 feet tall, this steel and wood roller coaster initially wows with a 90-degree drop that quickly sends riders hurtling across the track at speeds up to 74 miles per hour. Half-barrel rolls, inversions and upside-down hangs will leave thrill-seekers eager for another go on this record-holding ride. In Buena Park, California, head to Knott’s Berry Farm for your turn on the new HangTime, the first and only dive coaster in California. 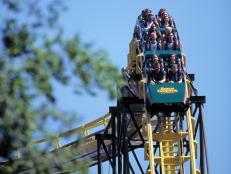 HangTime climbs 150 feet into the air before plummeting down the other side. 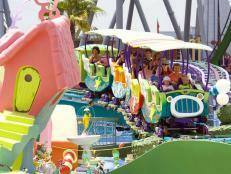 Thanks to a 96-degree drop, the steel coaster gives the illusion as though the track has come out from under riders. 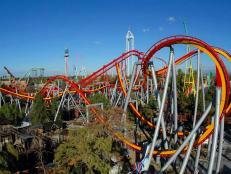 Corkscrew inversions and mid-air suspensions add to the exhilaration on this high-thrill ride. 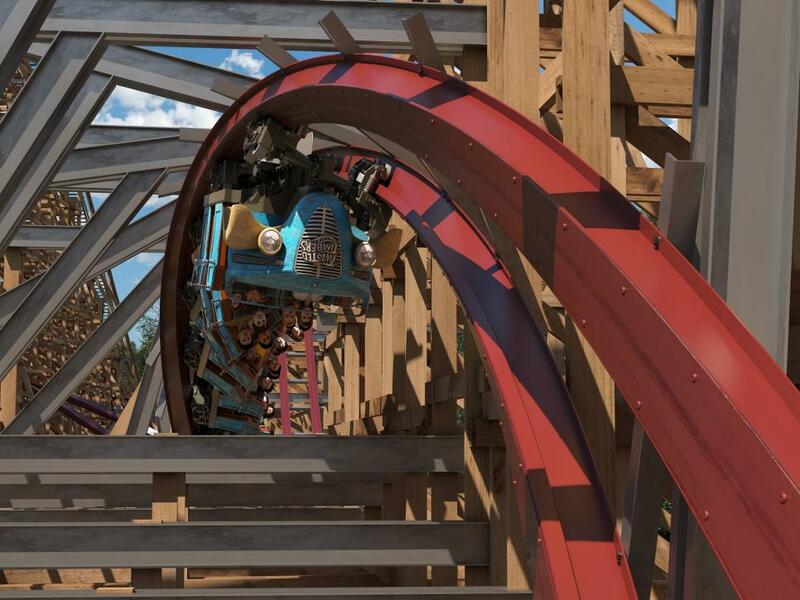 Climb aboard the new Twisted Timbers at Kings Dominion near Richmond, Virginia for loops, turns and barrel roll drops at speeds up to 54 miles per hour on this brand new hybrid roller coaster made from wood and steel. Thanks to 20 "airtime moments" throughout the ride, you may find yourself out of your seat more often than in your seat as this coaster screams across more than 3,300 feet of track. 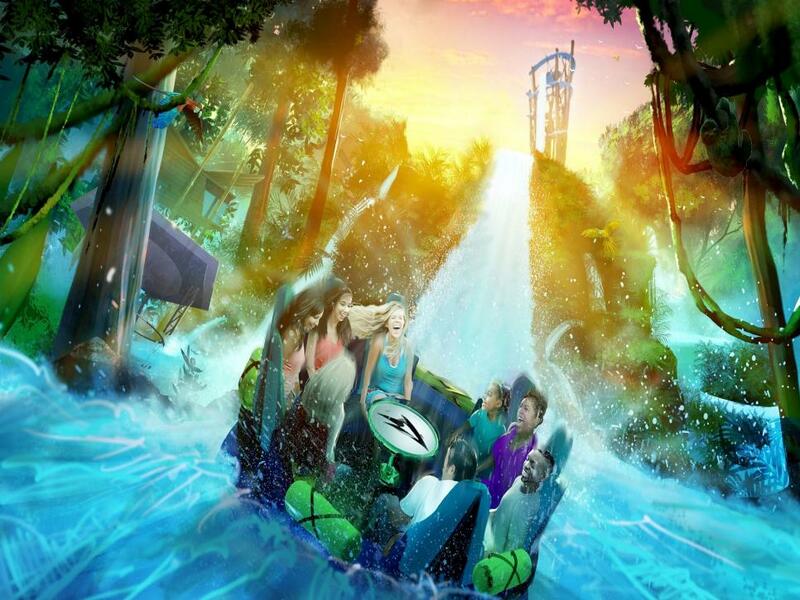 For thrills and spills as you twist and turn aboard a raft built for eight, head to SeaWorld Orlando for your turn on the new Infinity Falls, the world’s tallest river rapids ride. 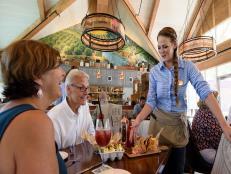 Guests experience up to Class IV whitewater rapids after they launch from a starting point four stories up in the sky and plunge into the bubbly water down below. 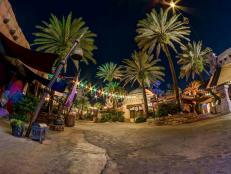 Once you exit the ride, soaking wet no doubt, walk through Harmony Village for an education on water conservation.